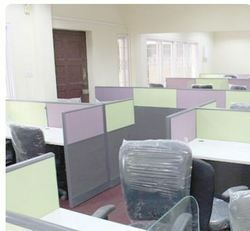 Cubic Business Centre - Service Provider of office workstation, business support services business & office room design services in Bengaluru, Karnataka. Cubics is happy to provide you with all the things you need to get started and move forward with your business in Bangalore. We'll help you set up and do business quickly and easily. Aside from private and shared serviced offices, we provide meeting rooms that are perfect for presentations that seal deals and meetings that strengthen your business ties. Our top of the line meeting rooms are tastefully furnished and equipped with the tools you need to take that step forward. For your business registration and mailing needs, We provide you with a building address in Bangalore where you can conduct your business with ease. A semi-open shared office concept. Let the magic happen in your own work space. Our partitioned work desks provide the perfect space for your computer and other tools you need to run your business. Your own furnished office space without the expensive startup costs. Computing, Encoding, Statutory Contributions, Reporting, Payout.